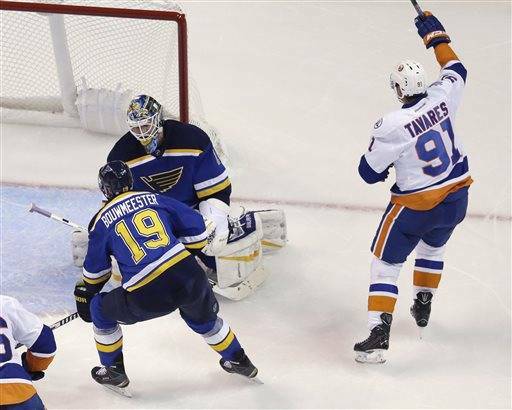 The New York Islanders return home to the Barclays Center on Monday to take on the Calgary Flames in a cross-conference matchup. 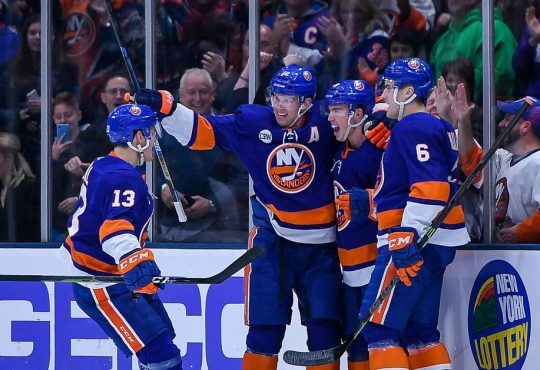 The Isles currently sit at 5-2-1 (11 points) which puts them 3rd in the Metropolitan Division behind the New York Rangers and the Washington Capitals. 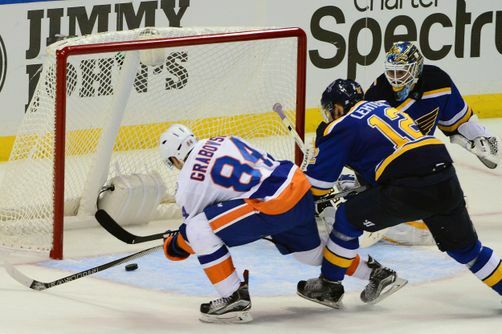 The Isles are coming off a very good road win in overtime against the St. Louis Blues on Saturday night, one in which backup goalie Thomas Greiss was superb. Greiss, who split the back to back starts with Jaroslav Halak, made 48 saves including some spectacular ones late in regulation. New York will be without defenseman Thomas Hickey, who has been placed on injured reserve with a lower body injury. Arthur Staple of Newsday tweeted that the injury will keep Hickey out at least a month. 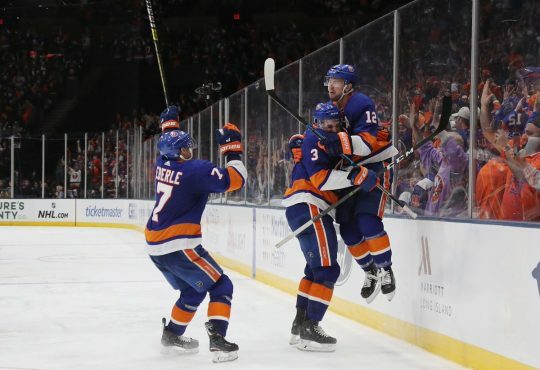 The Isles got goal scoring production from Kyle Okposo and John Tavares in regulation, before Mikhail Grabovski netted his first goal of the year with the OT winner. Tavares enters Monday nights game against Calgary riding a 6 game point streak, and is one point back of Jamie Benn for the league lead. Saturday night also saw an odd benching of top-line forward Ryan Strome by head coach Jack Capuano. 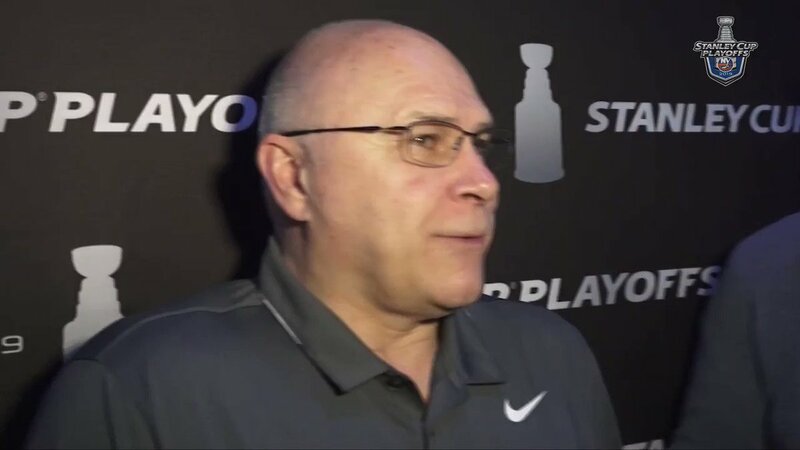 Strome struggled mightily on Friday night in the loss to the Boston Bruins, so it seemed that whatever message Capuano sent, the team heard loud and clear. Calgary makes their maiden trip to Brooklyn after a disappointing 4-1 loss to the Rangers at Madison Square Garden on Sunday night. 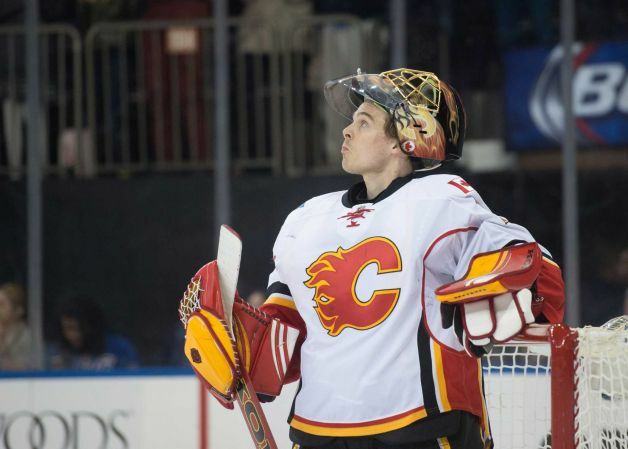 Flames goalie Jonas Hiller got the start for the Flames, but was pulled with about 8 minutes to go in the third period in favor of backup Joni Ortio. Hiller allowed 4 goals on 21 shots before he was benched, and the Flames have already announced Ortio as the starter for Monday night’s game against the Islanders. The Flames are off to a slow start (2-6-0), especially after their rather unlikely ouster of the Vancouver Canucks in the first round of last year’s Stanley Cup Playoffs. After Sunday’s game at MSG, Flames coach Bob Hartley expressed the need for his team to start to get secondary scoring from players outside of their 2 best forwards Johnny Gaudreau and Jiri Hudler. This is a game the Islanders should win, and win handily. The Flames are reeling, and in the middle of a strenuous part of the schedule. They played friday night in Calgary (a 3-2 shootout win against the Detroit Red Wings), and began back to back games in New York less than 48 hours later. Plus, there’s the fact that the Flames are averaging almost 4 goals against per game, and not one single skater is a plus so far this season. 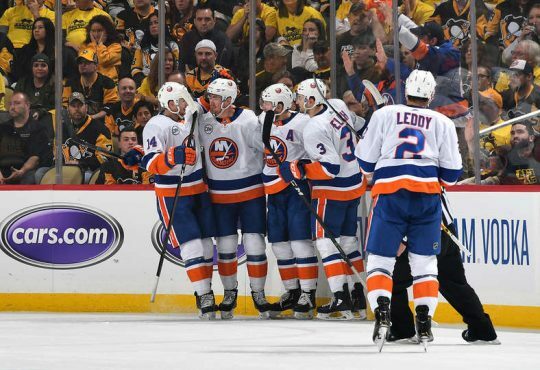 The Islanders have been struggling with their starts of late, only scoring in the first period twice in 8 games so far this season, but look for them to be the rested team and be on the Flames early and often. Jaroslav Halak will get the start in goal and Ryan Sstrome returns to the lineup as well. Marek Zidlicky is back in and paired with Brian Strait as the 3rd defense pairing. 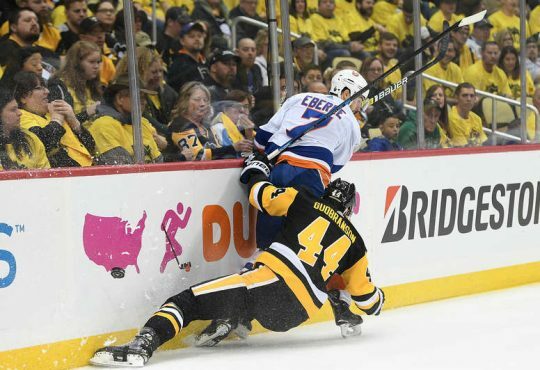 Strait replaced Zidlicky on Saturday and it was unclear if that was due to poor performance, or if Capuano just needed to give the older defenseman a so called “maintenance day”. Now that Hickey is injured however, we should see a steady diet of the Zidlicky/Strait pairing. Puck drop is at 7:00 PM from Barclays, and the game can be found on MSG+ as well as the Islanders Radio Network.